Hailing from Allen Street on New York’s notorious Lower East Side, The Good Company is committed to stepping outside their comfort zone in search of new experiences. Using Reebok’s NPC UK trainer as the guide for their latest collaborative journey, the store has designed a classic sneaker for fellow jetsetters – making it the only way to travel first class! For anyone planning a journey to foreign lands, the most essential piece is the humble passport. 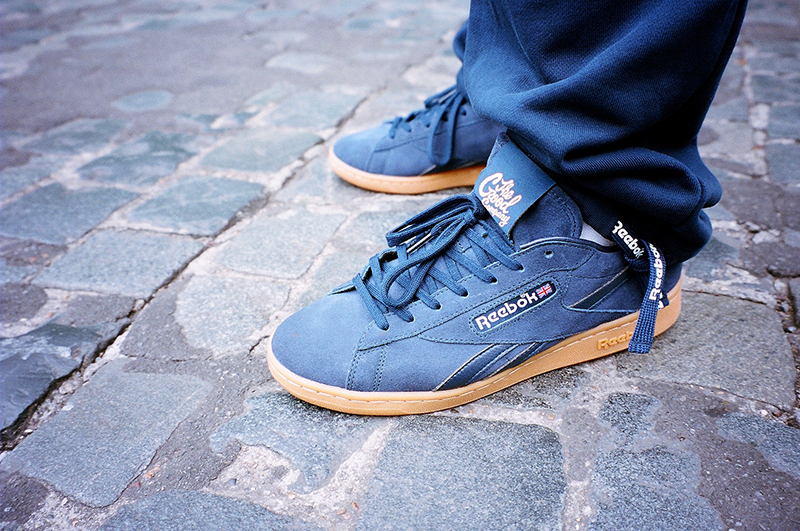 Inspired by the pocket-sized proof of identity, The Good Company have produced a pair of Reeboks that you likewise won’t want to leave home without.The plush navy suede and golden branding mimic the cover design of American passports, while grippy gum soles are reminiscent of the dog-eared edges of your most faithful travel companion. To round out the look you can match with the rest of the featured capsule collection, which features a versatile cap, socks, tee shirt, hoodie, sweatpants, and duffle bag. With this look you will certainly be the most stylish traveller wherever you go! Originally known as the Newport Classic, Reebok’s NPC tennis shoe first appeared in 1985. Quickly establishing itself as a country club staple, the model was soon adopted by hip-hop culture, remaining a go-to option for street style aficionados ever since. The Reebok NPC UK x The Good Company is set to release September 15 at selected retailers such as hanon.